Joe Joyce could face Dereck Chisora later this year; is it too soon for the 1-0 hope? Last night, during a backstage meeting before the less than thrilling (failed to live up to the hype, pre-fight was of words) cruiserweight showdown between Lawrence Okolie and Isaac Chamberlain (won by Okolie via lopsided decision) Dereck Chisora and David Haye met up. 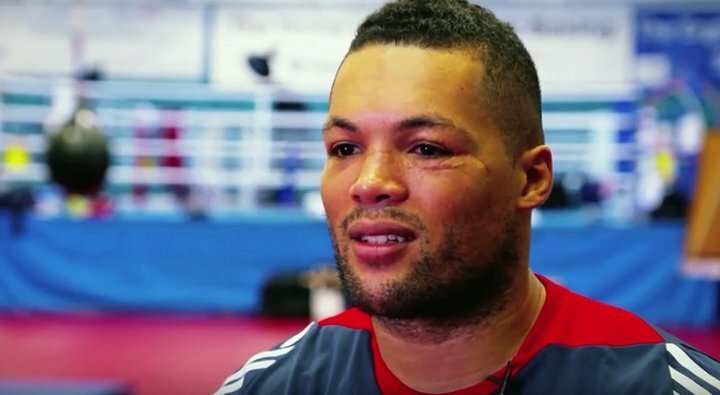 The subject was a possible fight between “Del Boy” and unbeaten 2016 Olympic silver medal winner Joe Joyce. Joyce is just 1-0(1) as a pro but the 32 year old both needs and wants to be moved pretty fast, and his promoter Haye – who holds a KO win over Chisora, in what was Haye’s last impressive winning performance – wants Joyce to get it on with his old adversary this year. Joyce will be back in action on February 16 when he will face journeyman Rudolf Jozic in London, but Haye wants bigger tests for his man. But is Chisora, 27-8(19) but just two years older than Joyce, too big a step up at this early stage in the pro career of Joyce? Chisora has seen better days, yes, but he has an absolute ton of experience, having gone 12 rounds a number of times and having been in with a number of world champions (including Vitali Klitschko and Tyson Fury). Last seen losing a decision to Agit Kabayel in November of last year (Chisora is rarely stopped; just twice in fact) “Del Boy” says he had an off night and is ready to get back in with a big fight. Would a fight with Joyce motivate Chisora? “If the money’s right,” Chisora said of the offer to face Joyce. But is the fight the right one for Joyce? Joyce didn’t mess around in his pro debut, going in with the experienced Ian Lewison (and winning in style), but Chisora could prove to be a whole other level for him. And if a fighter goes up a level, can he ever go back down? It’s a risky fight, but arguably it’s a big enough risk for both men. Next boxing news: Gassiev vs Usyk: Is it even possible to pick a winner?! You are here: Home / Boxing News / Joe Joyce could face Dereck Chisora later this year; is it too soon for the 1-0 hope?